After five very full days at Wentworth covering the event live on this website, there’s no time like the day after the event to figure out the winners and losers. Why do this so quickly? Well, by the time you read this, the UK-based US Open qualifying competition will have started (or maybe even finished) at nearby Walton Heath – and they took place the day after as well. Golf – like all sport – doesn’t stand still. In fact, the new PGA Champion Simon Khan was even being asked in his winner’s press conference what his chances were at Walton Heath where he was due to peg it up just over 12 hours after being handed his trophy. Yes, the PGA Championship certainly had plenty of storylines. Let’s begin with a few things that astonished me: firstly, the leading score on day one (-6) turned out to be the winning score on day four; secondly, there were brand new, individual leaders every day (Willett, Donald, Wood and, finally, Khan) as no one player was able to dominate for more than 18 holes; thirdly, some of the cream of European golf could not take hold of the championship on Sunday and actually win it. Yes, perhaps that’s the most astonishing and, in some ways, disappointing aspect of the PGA Championship this year. We’re looking for a European Major winner (and, no doubt, we’ll get one soon), but some of the real contenders for that honour (Donald, Karlsson and Casey, for example) fell away badly. You can forgive Danny Willett and Chris Wood for being slightly overwhelmed as it was both their first time in the last or second-to-last groups at such a big championship. But those with experience needed to prove their mettle and they failed. So, although Simon Khan‘s win had fairytale written all over it, the fact that he was eight groups back reminded me of Ben Curtis’s Open Championship win; a kind of back-door victory. Still, if you shoot the joint best score of the day and hole a super putt on the 18th in front of massive crowds and it’s also your wife’s birthday (and you’ve not got her a present, but promised her the title instead!) then let’s all give praise to Simon. I’ve only seen him twice in the last six months – once at Q School in Catalunya where he won and again last week at Wentworth. That’s quite a double, my man. Congrats. And, if that’s our biggest winner, the runner-up is Richard Caring, the Wentworth owner who was a big enough man (even though he’s only 5ft 10ins and a bit) to admit he got the 18th hole design wrong and will fix it for next year. And, finally, third place in my list of real event winners is Scot Craig Lee who also took home a trophy as the best of the ten PGA Regional Qualifiers in the field. Losers? Well, I’ve mentioned the top players who disappointed, but perhaps with the fabulous weather and the tremendous crowds it would be churlish to worry about anything else. Let’s just remember the 2010 BMW PGA Championship held a lot of people’s attention for five whole days, it made plenty of headlines and, as the only European Tour event in England this year, we can all give thanks…and look forward to 2011. I can already see the controversial headlines about the 18th hole re-modelling of the re-modelling! To review the PGA Championship Live coverage with exclusive interviews, pictures, gossip, chat and lots more from Wentworth, click here. Ross Biddiscombe is the author of two ‘Golf On The Edge’ books. 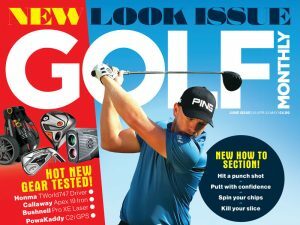 For details, go to golfontheedge.co.uk.